When you get married, you promise until death do you part. Unfortunately, this isn’t always how it ends. More than 780,000 marriages ended in divorce in 2017. While the number of divorces has declined over the years, it is still a real issue that people may find themselves dealing with. Things can get even more complicated when you combine divorce and mortgage payments. Divorce is already an emotionally charged situation. When you add the division of property, emotions can rise even more. The good news is, if you can come to an agreement logically, you can find an agreement that will work best for everyone involved. 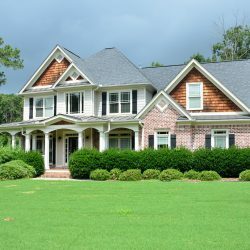 What are your options when it comes to the family home? This will depend on the factors involved. There are a couple of options to look into when it comes to dealing with a mortgage while getting a divorce. 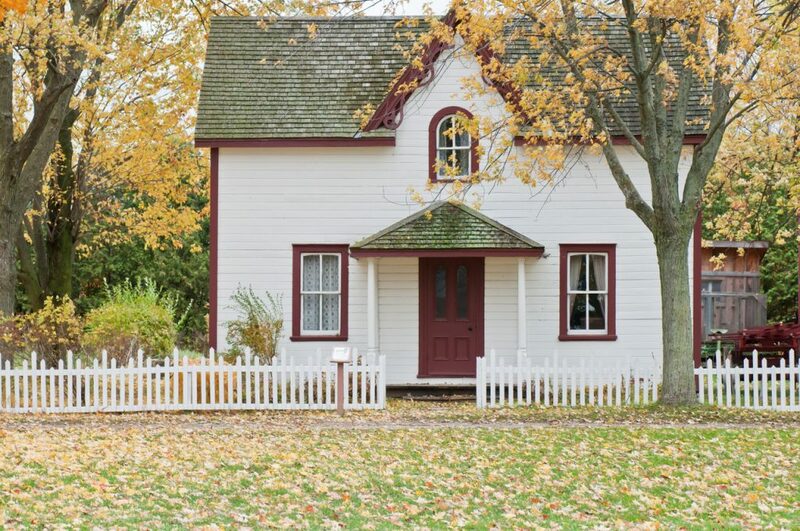 How you deal with your home during a divorce will depend on many factors. How much do you owe on the mortgage? Is either person able to take on the financial responsibility on their own? How well can both parties work together to come to an agreement? Of these factors, the biggest consideration is how much you still owe on the mortgage. What you can do with your home will depend on whether you have any equity in the home or not. If you’ve paid down enough of the mortgage, you have a couple more options available to deal with dividing the equity involved. The option you choose will depend on some of the other factors involved. If both parties agree, you have the option to sell the property and divide the profits between you. This is the least stressful option available when dealing with a home during a divorce. For this option, both people will have to agree to the sale since both names are on the mortgage. You will need to set the price where you can pay off the rest of the mortgage owed. Whatever profit is left after the mortgage is paid off is equally divided between both people. If you have children or one person is attached to the home, refinancing a mortgage is an option. For this option to work, you can’t owe more on the mortgage than the house is worth. The refinancing process involves the person that wants to keep the property refinancing so the property is only under their name. This is important to ensure the other person isn’t held responsible if mortgage payments are late. The person refinancing will need to have the ability to finance the property with their income alone. The person refinancing is then solely responsible for the payments. This can sometimes lower the mortgage payments as well. A quitclaim deed is an agreement to turn over all legal claim to the home to the person keeping the property. If you are refinancing a home in your own name, it’s a good idea to get a quitclaim deed as part of the agreement. The person that signs over the deed has no legal claim to the property. The lender can still hold them responsible for late payments though. This is why it’s a good idea to combine this option with the refinancing option. Keep in mind, if you sign a quitclaim deed, you have no monetary claim if the other person decides to sell the property later. This is an important consideration when deciding the best option. If you still owe too much on the mortgage to have equity in the home, you won’t have the option to sell the home. This means you’ll have to find another way to deal with the dual-owned property when getting a divorce. 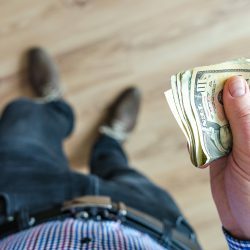 If you owe too much on the mortgage to sell the house outright, you might still have the option to short sell the property. A short sell is when you set up an agreement to cancel the rest of the debt. With a short sell, the lender has to agree to accept less than the full value of the home. They also have to agree to cancel the remaining debt on the property. While this option removes the mortgage burden, it does affect your credit score negatively. You may also have to claim the canceled debt as income on your tax return. Another option if you owe too much to sell is to rent out the house until you’ve paid the mortgage down enough to sell. This option will require cooperation between both parties in the divorce. Since the mortgage is still in both people’s names, both are responsible for maintenance, upkeep, and property tax on the home. If you choose this option, it’s important to write up an agreement to deal with the responsibilities assigned to each owner. 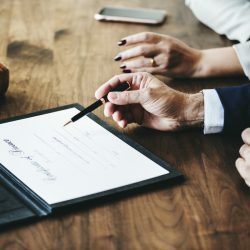 While it’s sometimes difficult to come to an agreement during a divorce, dealing with a mortgage agreement during a divorce is one place where you need to agree. Failing to deal with a mortgage situation can lead to further financial headaches for both parties. The best way to deal with mortgage issues is to take care of any agreements before finalizing a divorce. This is something that a divorce lawyer can help you work through. Coming to an agreement before the divorce is complete will cut down on the possibility of trickery or shady dealings later on. Letting a lawyer help you work through the agreement will also help cut down on financial burdens for both parties. You should work out a deal that deals with all payment and division issues as soon as possible. When dealing with divorce and mortgage issues, it’s important to get all the help you can. Before you make a decision, it’s important to find out what option will work for everyone. If you find yourself needed additional support during the divorce process, contact us for additional resources. About the Author: As a writer at Redfin, Angie enjoys writing about real estate trends, home decor, and financial topics. She finds her inspiration by staying up to date with the ever-fluctuating housing market of Seattle. In her spare time, Angie enjoys spending time with her family and exploring her city.